Matthew Dear is an American music producer, DJ and electronic avant-pop artist. Texas-born Dear moved to Michigan as a teenager, where he was inspired by the sound of Detroit Techno. Madcon is made up of Tshawe Baqwa and Yosef Wolde Mariam. The band originates from Norway, but they have long since been exported all over the world. Their biggest hit Beggin’ has been a and they are currently releasing their album and second single in Europe and the US. Ladytron are an electronic pop band originally formed in Liverpool, UK. Ladytron formed in the summer of 1999 when Liverpool musicians and DJs Reuben Wu and Daniel Hunt met dual singers Glaswegian Helen Marnie and Bulgarian born Mira Aroyo. Junior Boys are a Canadian indie electronic pop group. 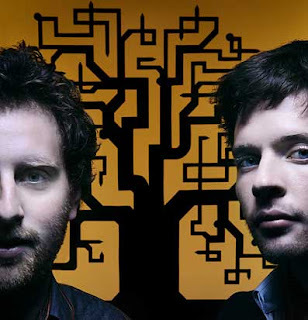 Junior Boys formed in 1999 in Hamilton, Ontario, Canada. Originally a duo of Jeremy Greenspan and Johnny Dark, Junior Boys created a sound that would reconcile their influences. 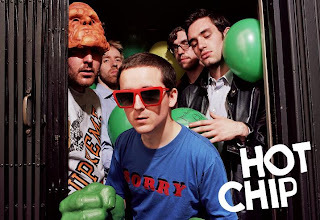 Hot Chip is a Grammy nominated British electropop band. They have released three studio albums Coming on Strong, The Warning, and Made in the Dark. The Warning was named Album of the Year by Mixmag and voted the fourth best album of 2006 by NME. 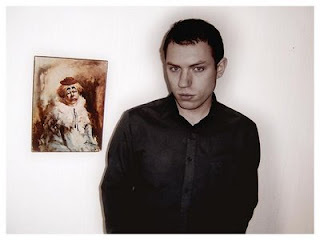 The Honeydrips are Mikael Carlsson’s (former lead singer for Dorotea) electronic pop music solo project. The electropop band is under the Swedish label ‘Sincerely Yours’, run by The Tough Alliance. Here Comes the Future came out in 2007 and received an 8.4 on Pitchfork. Goldfrapp is a British electronic music group known for their visual theatrics and contribution to the popularization of electronic dance music. The band was formed in 1999 in London, England, and consists of Alison Goldfrapp (vocals/synthesizer) and Will Gregory (synthesizer).